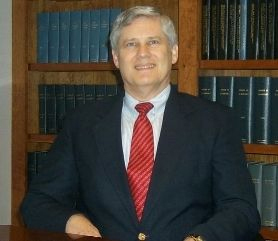 Dale L. Flesher, Ph.D., CPA, CIA, CMA, CFM, is the Arthur Andersen Alumni Professor in the School of Accountancy at the University of Mississippi and has written over 300 articles for business and professional journals, including Management Accounting, Journal of Accountancy, and The Accounting Review, as well as numerous books. He was a member of the Institute of Management Accountants, American Institute of Certified Public Accountants, Institute of Internal Auditors, American Accounting Association, and American Taxation Association. He is a past editor of The Accounting Historians’ Journal and is a trustee and past president of the Academy of Accounting Historians. Dr. Flesher received the 1990 Leon Radde Outstanding Internal Auditing Educator Award from the Institute of Internal Auditors and the 2005 Thomas J. Burns Biographical Research in Accounting Award. He was a member of the governing Council of AICPA for 2005-2008, and has also served on the Board of Trustees for IMA’s Foundation for Accounting Research. Dr. Flesher coauthors the CMA Review series.